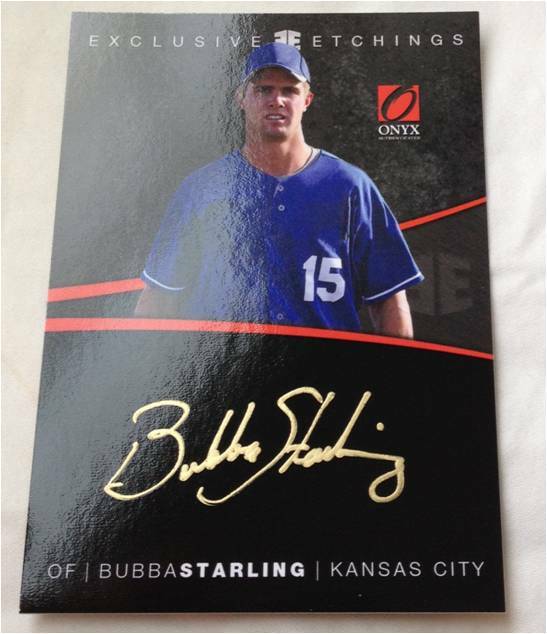 In a very short time, Onyx Authenticated established itself as a leader in the autographed memorabilia industry. 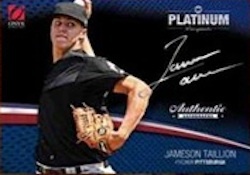 2012 Onyx Authenticated Platinum Prospects sees the company move into the baseball card realm with a set that's loaded with prospects, autographs and other promising content. 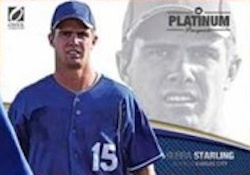 Every card in the 2012 Onyx Authenticated Platinum Prospects Baseball base set is serial numbered to 800 and printed on premium 24pt card stock. With 50 cards in the base set, it will take collectors a couple of boxes to finish it as they will likely find less than 25 base cards per 30-card box. Parallels are numbered to 100 or less. Six-pack boxes promise five hits, at least three of which are autographs. Signatures are on-card with striking silver and gold ink on dark backgrounds. Random hot boxes have at least eight signed cards. Autograph cards fall under two banners: Authentic Autographs and Exclusive Etchings. 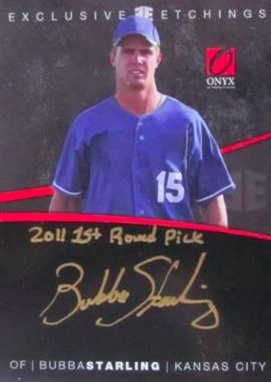 Among the signers are Bubba Starling, Jameson Taillon and Kaleb Cowart. 2012 Onyx Authenticated Platinum Prospects is also the first set to have a pack-inserted card of Yankees prospect Jose Campos. Game-used cards don't settle for the traditional jersey and bat pieces. 2012 Onyx Authenticated Platinum Prospects has cards embedded with game-used cleats, batting gloves, hats, chest protectors and more. 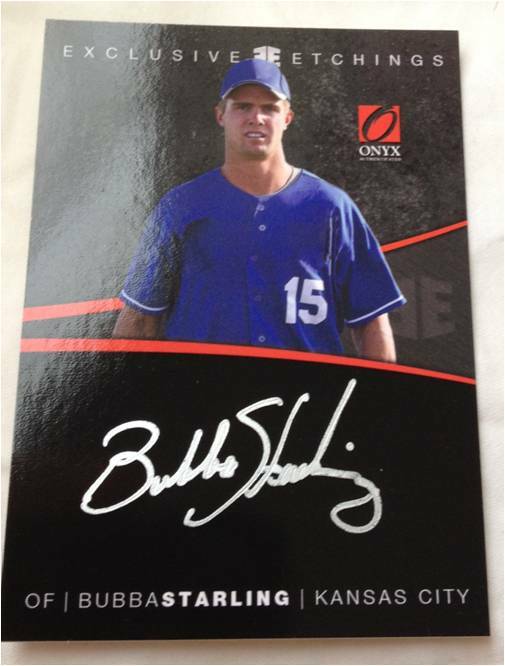 Onyx promises that most game-used cards are autographed as well. 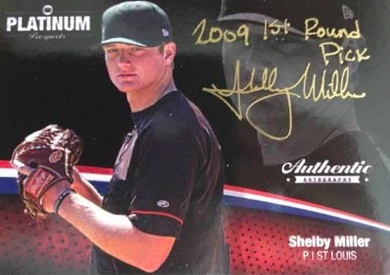 Collectors can also find random redemptions for full-sized pieces of game-used memorabilia. I had never heard of Onyx until I got in a couple box breaks with Dale at WinMyCards. I think the cards are pretty sharp looking. I was pleasantly surprised to pull a couple Taillon autos out of this product! I’m a huge Pirates fan so obviously that was pretty awesome! The only minor knock on these were that being black borders some of the edges were chipped up.